All of these were popular at one time, but no longer exist. However, some you'll find traces of in newer breeds. What caused them to simply vanish? Throughout history, many dog breeds have come and gone. Some disappeared when the work they were bred to do was no longer needed. Others gradually morphed into easily recognizable modern dog breeds. 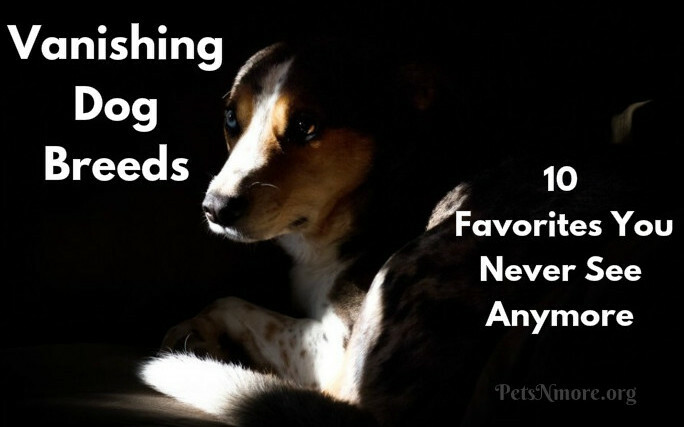 Here are 10 dog breeds that no longer exist. How many have you heard of? 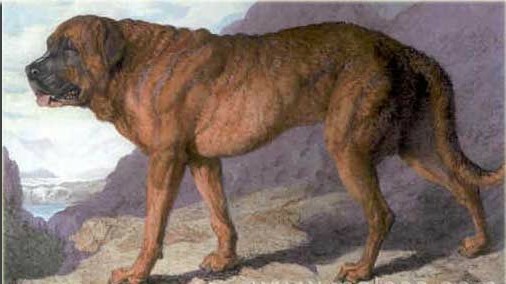 The extinct Alpine Mastiff is an ancestor of today’s Saint Bernard, and a significant contributor to the modern Mastiff and other closely related breeds. The names Alpine Mastiff and Saint Bernard were used to describe the same group of dogs in the early 19th century. The Alpine Mastiff was one of the earliest giant dog breeds and one of the first true mastiffs, originating in northern Europe before 500 B.C. It is believed some of these dogs reached nearly 40 inches at the shoulder and weighed as much as 350 pounds or more — larger than both the modern Saint Bernard and English Mastiff. The extinct Chien-gris, also known as the Gris de Saint-Louis (Grey St. Louis Hound), originated in medieval times. The breed was known to be headstrong and willing to pursue quarry to their death. By the 19th century, the Chien-gris was impossible to find. 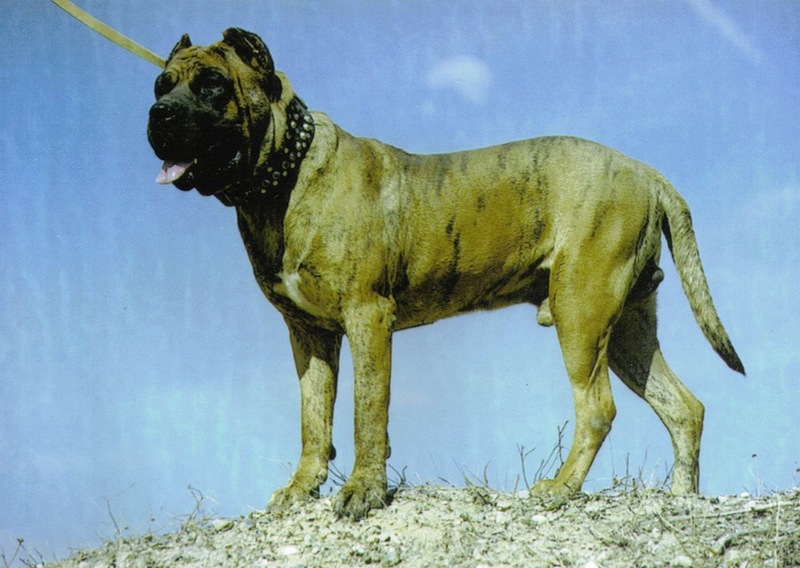 The extinct Dogo Cubano, also known as the Cuban Mastiff, originated in Cuba. This rare breed was developed from several varieties of bulldogs, mastiffs, and cattle dogs. 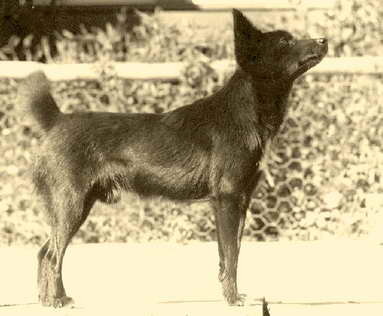 The Dogo Cubano was bred to capture runaway slaves (cimarrones) in Cuba. After the abolition of slavery, the breed ceased to exist. 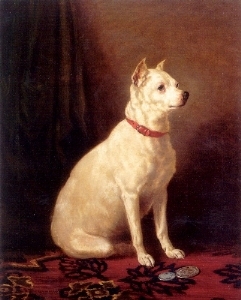 The extinct English White Terrier was created in the early 1860s by a small group of breeders who wanted a prick-eared version of small white working terriers, which eventually became the Fox, Jack Russell, and Sealyham terriers. The Boston and Rat terriers also share the same ancestry. The English White Terrier was ultimately rejected by the U.K. Kennel Club, and was also unpopular with the public. About 30 years from its inception, the breed was extinguished. The extinct Paisley Terrier, also called the Clydesdale Terrier, originated in Scotland and was bred primarily as a pet and show dog version of the Skye Terrier. It is the ancestor of today’s Yorkshire Terrier. 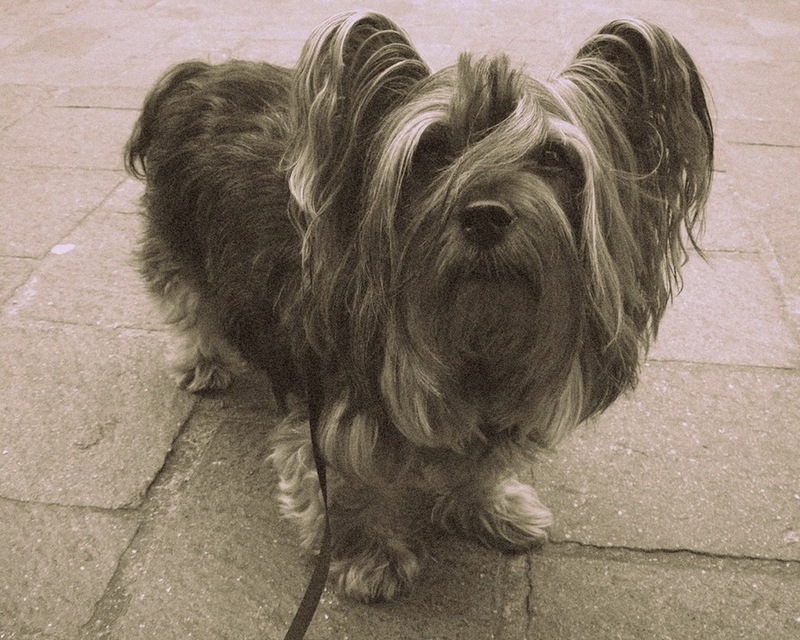 The U.K. Kennel Club recognized the Paisley Terrier in 1888 as a variety of the Skye Terrier. When Paisleys began winning dog show prizes for their long, soft coats, Skye Terrier breeders objected, which ultimately led to the disappearance of the Paisley breed. 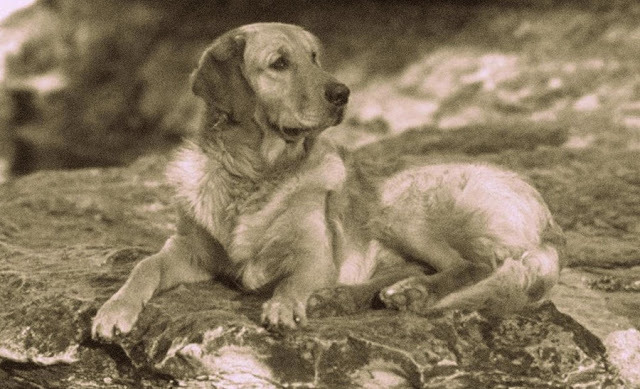 The extinct Russian Tracker, also called the Russian Retriever, was a domestic dog used for hundreds of years to protect and herd flocks of sheep. The Tracker stood as high as 30 inches at the shoulder and weighed up to 100 pounds or more. Despite their size, these dogs were fast and flexible, able to defend their flocks from wolves and other predators. The Russian Tracker was also an intelligent dog. His closest surviving descendent is the Golden Retriever. 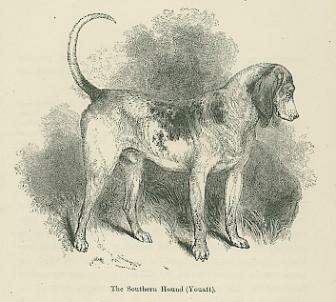 The extinct Southern Hound existed in Britain until sometime during the 19th century, and was probably crossed with other breeds until the original breed was extinguished. The Southern Hound was tall and heavy, with a deep chest and a long, bony body. He wasn’t a fast dog, but he had superb scenting abilities. The breed fell out of fashion during the 18th century in favor of the faster Foxhound. Many of today’s hound breeds are thought to be descendants of the Southern Hound, including Beagles, Bloodhounds, Coonhounds, Foxhounds, and Harriers. The probably extinct Tahltan Bear Dog was indigenous to Canada, and was bred to hunt bear. Small and light, these dogs could move quickly over packed snow following bear tracks. The Tahltan Bear Dog was friendly and gentle with people and small animals, and lived in tents with their humans. There are no known living descendants of the breed past the 1960s to 1970s, and no modern breeds have any known genetic relationship with the Tahltan Bear Dog. The extinct Toy Trawler Spaniel is thought to be descended from the original King Charles Spaniel and the older variety of Sussex Spaniel. The breed started out as a sporting dog, but became a toy show dog over time. By the early 1900s, the Toy Trawler Spaniel was more popular in Europe than the U.K., and was especially a hit in the Netherlands and Italy. The breed was considered to be on the verge of extinction by 1920. 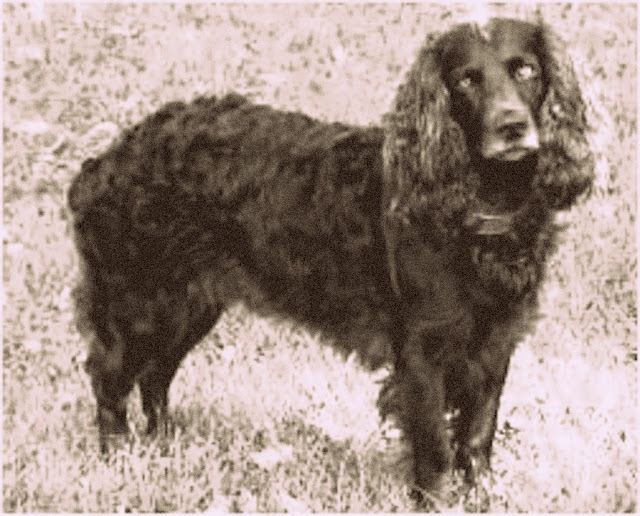 The Tweed Water Spaniel, or Tweed Spaniel, has been extinct since the 19th century. These dogs originated near the River Tweed close to the Scottish Borders. 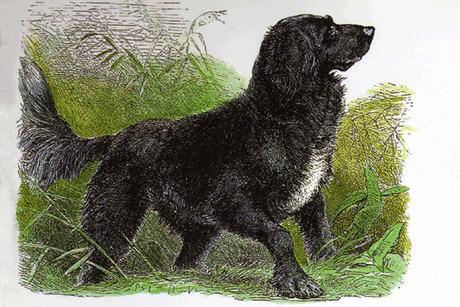 The Tweed Water Spaniel may have been a cross between local water dogs and the St. John’s Water Dog, another extinct breed. He had a curly brown coat and long tail, and resembled the Irish Water Spaniel. The Tweed Water Spaniel was known for his sporting ability, intelligence, and courage.